Auto Detailing Steam Cleaners remove stains from upholstery and cleans dashboards. Bagless Canister Vacuums feature HEPA exhaust filtration. Wet/Dry Vacuum Cleaner employs multi-stage filtration system. Featuring 20 gal, 18 guage steel tank and powered by dual motors, Model PF57 Wet/Dry Vacuum Cleaner is suited for recovering floor strippers, cleaning up spills, as well as vacuuming up dry debris. It has swivel hose connector, allowing 360Ã‚° hose rotation, and tip-and-pour feature for water disposal. Multi-stage filtration system prevents dust from becoming airborne. Portable Vacuum collects dust generated from power tools. This white paper provides an overview of mobile technology for managing your manufacturing facility, while also discussing the advantages of being an early adopter. Steam Cleaners remove chewing gum. 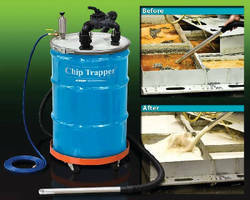 Vapor Steam Cleaners kill bacteria and mold. Vacuum filters chips out of used coolant. Anti-Microbial Steam Cleaners target hospital settings. Industrial Vacuums are built for performance and usability. Steam Cleaners include wet/dry vac with HEPA filtration. Attic Vac safely removes hazardous vermiculite insulation. Large Area Riding Vacuum features HEPA-filtration. 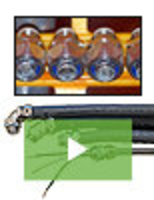 Oil Vacuum performs multiple cleaning tasks simultaneously. Vacuum simplifies compliance with FDA and HACCP regulations.